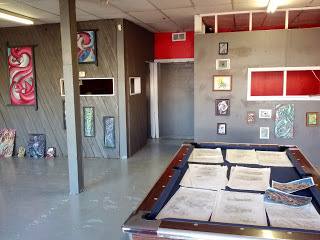 Nice clean shop, he’s just getting it going, he been tattooing for a long time just took over this shop. He is very cool person a good artist and down for whatever your wanting to do. He does awesome color work, black and grey, and amazing portraits. Sorry the picture I took doesn’t do his work justice I will try to get a better picture soon.